Let me be honest with you if you are seeking for the best wireless routers under $50 for your daily internet needs then you have to compromise many things. 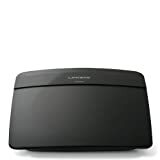 Since you have set your limits to just the best wireless routers under $50, it means you are just looking for a reliable system whose primary focus is to provide you a stable internet connection, cutting short all the additional features. Final Verdict: Which one to Buy? First of all, don’t expect to get the speed that has been advertised because most of them are a marketing gimmick. It all depends on some conditions around your region from weather to even your particular ISP subscription. 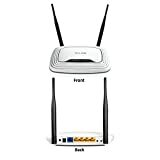 So, what I am going to do here is that I will provide you with ten of the best wireless router under $50 depending on user reviews and by keeping everything transparent so that you can choose the right product for your particular needs. Here on this list, I have come up with the ten best wireless routers under $50 which you can bring home and install in your bedroom or in your small office room where you work with your employees. These wireless routers are some of the popular products that have been loved by users. They inevitably come with some disadvantages too which I have listed along with every product so that you can easily understand which one is better suited for all your internet needs. So, without further taking let’s take a look at the best wireless routers under $50 starting from the cheapest one. 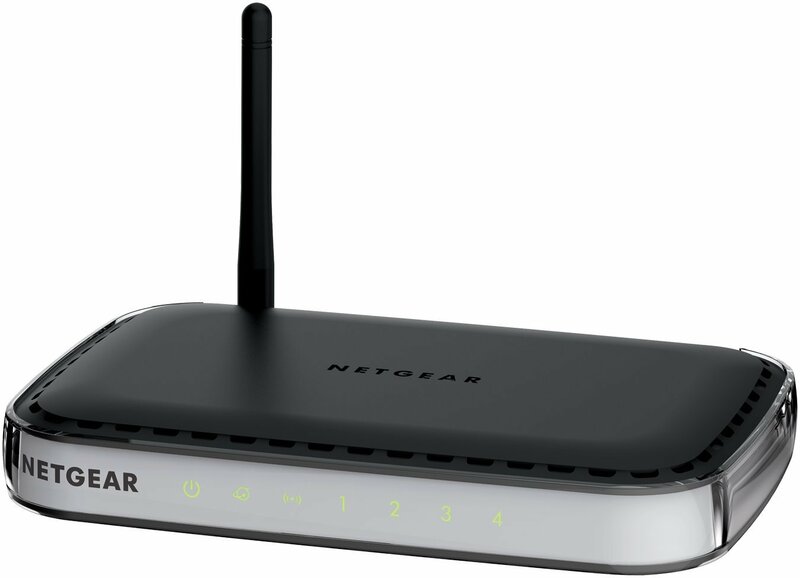 NETGEAR is one of the well-known brands in networking technology and they no doubt have more powerful products on their line but if you want some steady Wi-Fi speed at a very cheap price without anything extra then you can go for the WNR1000. This is a simple and efficient little box that only gives a small speed range of 150Mbps, and that is all that you can get from this product. This features a total of five Ethernet ports and also parental controls, and there is also an option for guest access. You can easily guess that the limited speed because of the single antenna that it comes with. There are neither USB ports nor any detachable antennas making it more limited on the specification. This is simply a router, and it includes no modem too. This router is compatible with PCs, iPads, tablets, smartphones and it is really easy to use. You can make use of the NETGEAR Genie App for easy personalization and also use the dashboard to gain control over your network and also to monitor it. Features Push ‘N’ Connect button which allows you to connect easily, and you can even schedule your access time and conserve power up to 30%. For security, this features Parental controls and which allows you to filter your web for all your connected devices. You can even create secure and separate access for guests and also secure Wi-Fi connections for advanced wireless security through WPA/WPA2. 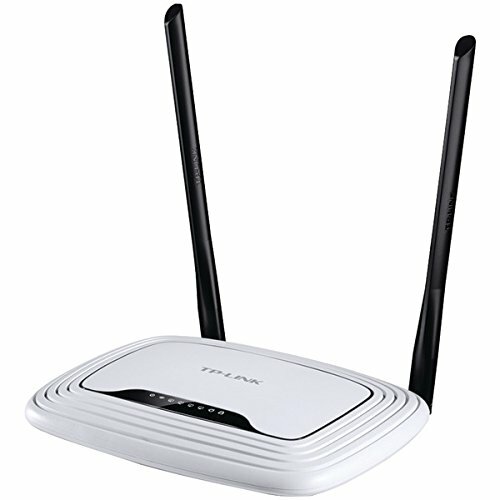 Starting with the cheapest of them all, the TP-Link N300 is one of the best buys if you are a little low on the budget. In spite of being a cheap router, the TP-Link N300 is a powerful wireless router which provides a speed of up to 300 Mbps. This router is one of the best selling routers of all time and has been a huge hit when it was first released. The N300 supports gaming, live streaming, web browsing and much more also the dual 5dBi antennas play a significant role in maximizing its efficiency and connectivity. This Wireless router also comes with parental controls allowing you to set limits and manage the internet access if you have children. It has IP based bandwidth control allowing you to set a bandwidth limitation to other PCs or internet devices. WPS button allows you to set up a WPA/WPA2 encrypted secure connection. If you are just concentrating on music, online video games and movie streaming Linksys N300 is a really good choice for you. This wireless internet router works with wireless N-Technology that provides speed up to 300 Mbps. The N300 features two inbuilt internal antennas and MIMO antenna technology that works to provide exceptional coverage. This is perfect for home use and especially if you are going to use it in your bedroom for personal use. You can connect HDTVs or other devices directly into the four fast Ethernet ports and enjoy watching movies and more. Activity indicator warns you whenever there is a wired connection and also flashes while transferring or receiving data. Linksys is known for its advanced security protocols, and the N300 features WPA/WPA2 personal and SPI firewall protection so you can be sure about the safety of your home Wi-Fi network from intruders. There is an option for creating a separate network for guests so that they do not have access to your computer or other devices. Also, you can set parental controls for children, so, if you have children at home, you can manage the access to the internet through the router itself. With the help of the Cisco Connect’s Parental Controls, you can block certain websites and also restrict internet access during particular hours. The N300 is also very easy to set up, and you can make use of the included CD for installation. Use Linksys Connect software to easily configure and manage the N300. Looking for a convenient router for your small office room? 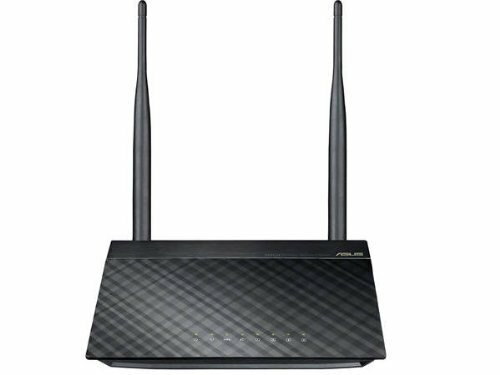 You can go for the Asus RT-N12 3-in-1 Wireless Router which comes with the latest MIMO technology that utilizes multiple transmit and receive antennas to optimize the transfer of data. The router might not be good enough with the advertised speed, but it has a reliable coverage capacity, and because of the dual detachable high-gain antennas you can easily expand the Wi-Fi area all over your office. One more reason why this is ideal for your office environment is because it has the four service sets or SSIDs which allow management of the bandwidth. You can set up and customize up to four accounts for wireless networking, and each of the accounts can be managed so that you can decide for yourself which sites they can access and moreover, you can set a limit for the maximum amount of bandwidth for each account. Setting up is very easy, and you can just get started in three steps. Doesn’t matter what device you use as long as they are Wi-Fi enabled. Switching modes is also fast and easy which you can do with the help of the Software EZ Switch or the ASUSWRT graphical user interface through your browser. The TP-Link N450 is next on the list and is another cheap router that you can bring home if you are low on the budget. This router will provide speed up to 450 Mbps, and it supports online gaming and HD video streaming without any issues. N450 comes with three antennas for a wider coverage of network and to speed up. Just like the TP-Link N300 the N450 comes with IP Based bandwidth control allowing you to set bandwidth for each and every device you connect to it. The WPS button allows one-touch wireless security encryption. It also features parental controls to manage internet access on children’s computers or employee’s. The ultimate affordable wireless router for all your everyday web needs the D-link N300 is a must have if you are low on budget. The D-Link Wireless N 3OO comes with the QRS mobile app which lets you set up the system easily in just a few minutes. The smartphone app also allows free network monitoring. 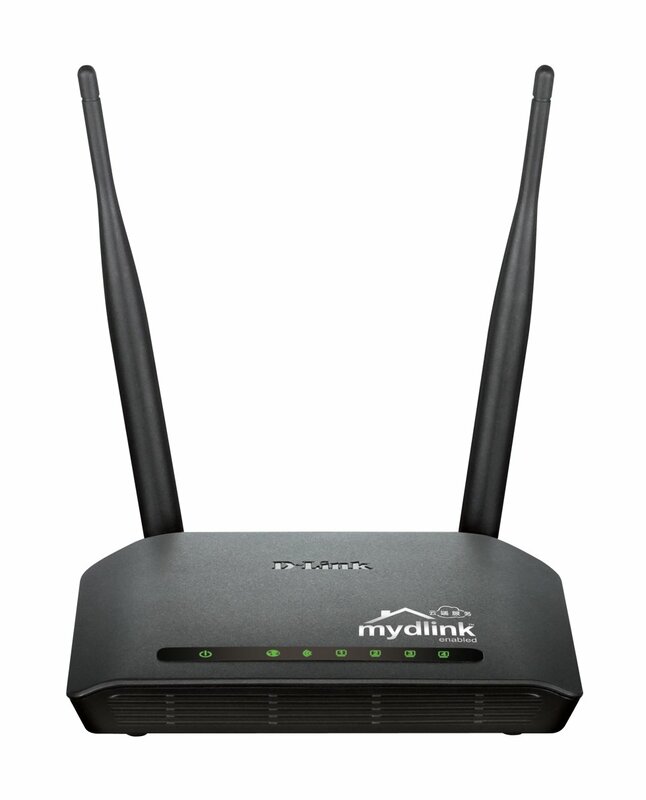 This router also comes with the mydlink Service for Push Event and User Control. You can see your Real-time browsing history and Remotely Connect and Disconnect all the computer devices from your network. It works with any Wi-Fi device and comes with four Ethernet ports for fast device connectivity. It has also got advanced security features to protect from intruders and the features include SPI Firewall and WPA2. Control the traffic and schedule time with the D-Link wireless N300 and enjoy fast internet browsing at a cheap price. The NETGEAR N750 is a dual-band wireless router with Wi-Fi speed up to 750 Mbps which is the right choice for those who love watching HD videos and perform other heavy data consuming work on the internet. 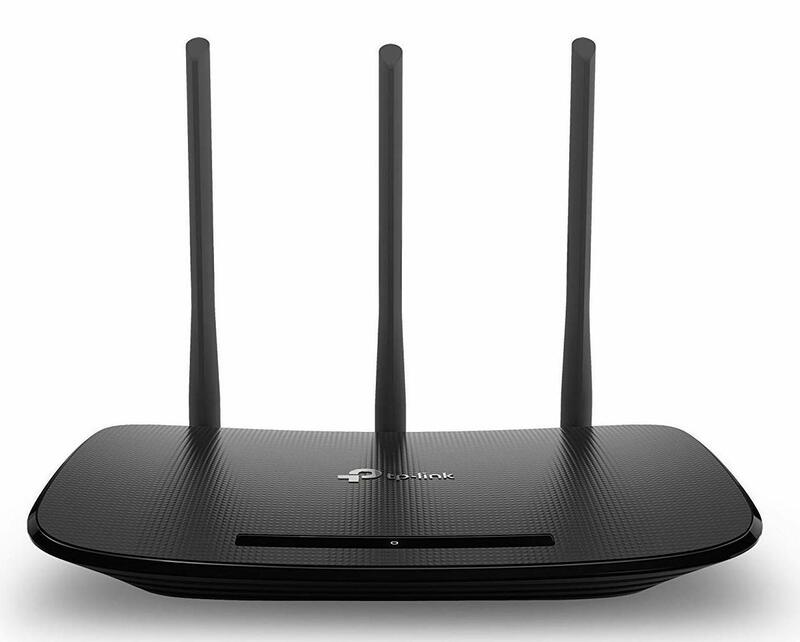 Because of the simultaneous dual band, this router doubles up the bandwidth while minimizing the Wi-Fi interference. If you have a larger room this will serve you well and you can also take control of multiple devices with ease. 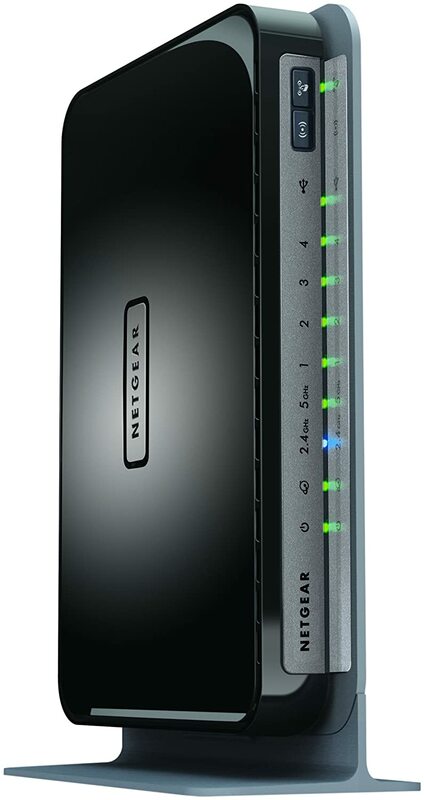 NETGEAR N750 offers a really good security as it comes with WPA/WPA2 PSK, WEP. The Push “N” Connect ensures a quick and secure network connection using Wi-Fi Protected Setup (WPS). 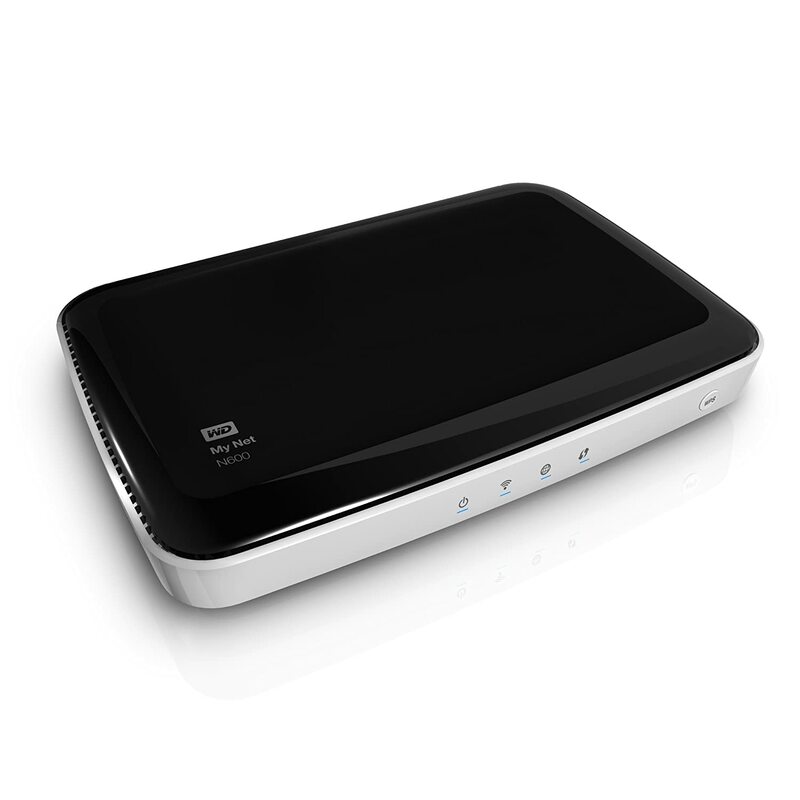 The Western Digital MyNet N600 has been well received by many users and it offers a reliable speed of 600 Mbps which is enough for online gaming, live streaming of HD videos and movies. In such a cheap price this router does the excellent job and is probably one of the best routers in this price range. This router has 4 fast Ethernet ports and also a USB port for wireless printer and scanner sharing and most importantly very easy to set up. The N600 is a dual-band router that works with the wireless N-Technology and you can connect to both the frequencies simultaneously. Each band is 300 Mbps and works really good in the combination. If you are fond of watching online movies and videos, and playing games I would suggest you purchase this dual band router for better performance. It might show problem while establishing connections with time. 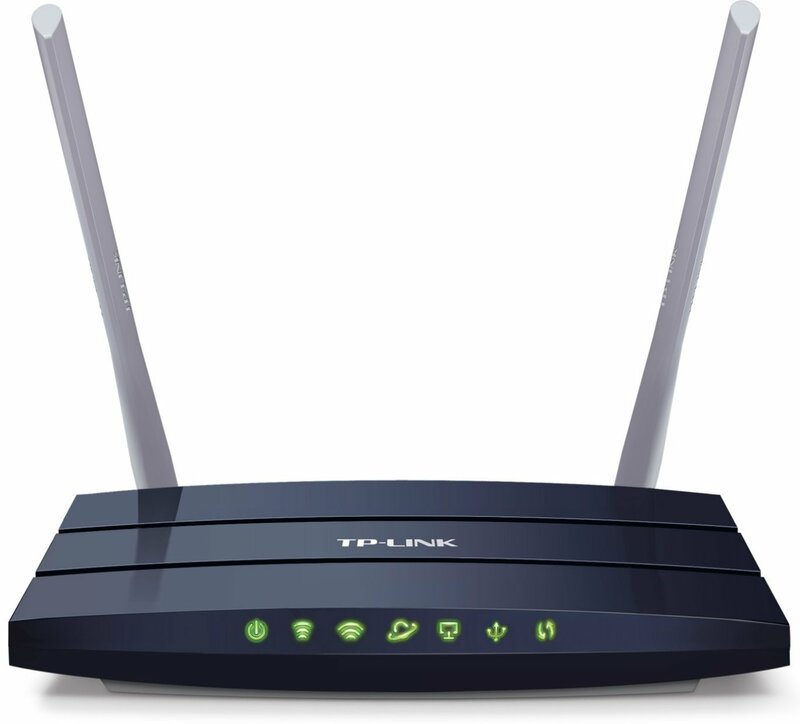 TP-Link AC1200 is one of my favorite routers available online. This comes with the upgraded powerful 802.11 ac Wi-Fi technology which is three times faster than the wireless N speeds and delivers a combined wireless data transfer rate of 1.2 Gbps so this is quite powerful than the other router units mentioned above. If you are a regular online gamer then you will love the AC1200 as it provides enough speed to make your gaming experience better. Moreover, this is the right router for watching HD videos or movies online. AC1200 also comes with dual USB ports so you can easily share a printer locally and files and media with the networked devices or remotely via FTP server. The Guest Network access feature provides secure Wi-Fi access for anyone who is sharing your home or office network. With the TP-Link Tether which is an app designed to help users to manage the router with the help of your android or iOS devices. The TP-Link Tether also allows you to set up parental control, and with its simple user interface you can see the status off your router, find out who are online, and many more intuitive features to make it more interesting. Might need to reset again and again in the worst case. The router that tops the list here is the N450 by TP-Link which provides a humble internet speed of 450 Mbps even though this router is the costliest one among this list of the best wireless routers. With superfast data transfer and smooth connectivity, this is one of the best selling routers in the market. It comes with a Multi-functional USB 2.0 port which allows you to share printers, media and files locally or over the internet. The three 5dBi detachable antennas help in making the connectivity better. This router has a number of features making it one of the best choices from among the list. The Gigabit Ethernet ports enable a really fast transfer speed and the CCA makes the wireless performance better and helps avoid channel conflicts automatically without your need to dial or tweak anything. N450 is the best choice for your personal home use and even for a small to medium sized office room and it supports various kinds, of broadband access like PPPoE, Dynamic IP, and even static IP and not to forget the available dialing requirements. It also supports static routing, UPnP, DDNS, VPN pass-through and data forwarding and also supports Quick Secure Setup or QSS. It is designed to provide 64/128/152 bit WEP encryption and for security WPA/WPA – 2, set upWPA-PSK/WPA2-PSK authentication ensuring a safe and secure wireless connection. One really amazing feature of the N450 is the WPS button which lets you instantly set up Wi-Fi connection just at one press of the button. Setting up the router is also easy; all you need to do is follow the setup wizard or the included CD which will help you set up the router online otherwise you can make use of the optimized user interface. The TP-Link N450 is undoubtedly the best router under $50 which now comes with 450Mbps wireless speed which is better than the earlier version which only allowed a maximum of 300 Mbps. So these are the ten best wireless routers under $50 which I have gathered for you after long research only. They are first of all cheap to start with and here lies the big drawback otherwise if you want a solid performance you can look for routers under $80 or even more but still you will get some of the famous and well-known models in this list. 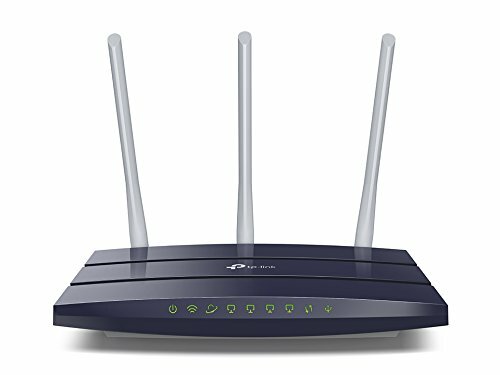 TP-Link N300 is one of the cheapest and the readily available models which has been a massive hit among those who are looking for routers in a tight budget. This is ideal for personal use as well as office use as long as the room is small and you can easily stream videos online, and the dual 5dBi antennas play a significant role in establishing smoother connectivity in a few tweaking. The AC1200 and the N450 are my favorites, and I would heavily recommend, the former to those who are gamers and seeking to work heavy on the web. If you are ready to spend a little more than the N300, then do purchase AC1200 or the N450 as they are much powerful than any of the routers I mentioned here. So, these are the best wireless routers under $50. I hope you will find the right one from this list that will best suit your needs.